For those of you who didn't watch it, Now You See Me aspired to be a caper film with magic. Sort of. Starring Jesse Eisenberg, Isla Fisher, Mark Ruffalo, and Dave Franco, not to mention Morgan Freeman and Michael Caine, it told the story of a bunch of magicians who rob a bank WITH MAGIC. It was silly, good fun, even if the cliffhanger ending sucked, and no one was surprised when Summit announced there would be a Now You See Me sequel. The sequel might not be coming out until 2016, but anyone who was on the fence about seeing it might just change their mind after this latest casting news. An experienced magician is joining the cast, you guys. 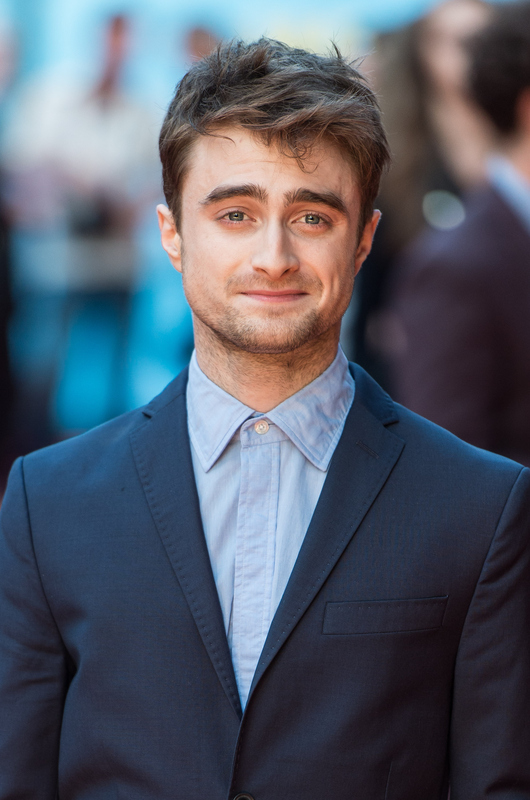 Caine revealed that Daniel Radcliffe has been cast in Now You See Me 2 — as his son. "There's a sequel to Now You See Me and we're shooting in London," said Caine in an interview with a blog called Hey You Guys. "I shoot in December, the whole of December in London, and my son is Harry Potter. I thought it'd be funny, me and Daniel Radcliffe as father and son." Caine starred in the original film as insurance benefactor Arthur Tressler who at first sponsors the Four Horsemen magicians before they make his own money disappear and he swears revenge. And Harry Potter is playing his son. Yes, please. Of course, Radcliffe has been no stranger to magical or supernatural films since the end of his stint as the boy wizard. His first major movie release following Harry Potter was the supernatural horror film The Woman in Black, and he's currently about to release a supernatural black comedy called Horns. Although Radcliffe said it was unlikely that he'd ever return to the Harry Potter franchise — unlikely but not impossible — it's great to see that he hasn't completely turned his back on magic. Besides, wizards are just magicians who can actually do magic, right? And if his on-screen father is any indication, then we'll get to see Radcliffe play the villain instead of the hero. Nothing more is currently known about Radcliffe's role in the movie or about the plot, but seeing a new side of Radcliffe is a bonus for every Potterhead. It might come as a surprise to those who watched him grow up on-screen in the Harry Potter movies, but Radcliffe is a powerful actor of great nuance and I, for one, have been waiting to see him get that one role that will establish him in Hollywood for something other than simply appearing in Harry Potter. Emma Watson has already found her place as a U.N. Women Goodwill Ambassador and everyone's current favorite feminist icon (aside from Beyoncé), but Radcliffe's films remain less mainstream and more for people who are already fans of his. It's his time to shine. Besides, I just want to see Radcliffe do magic again. Once a Potterhead, always a Potterhead.